Contrary to popular belief, the proper and safer use of anabolic steroids involves doing so through the construction and execution of carefully planned steroid cycles. 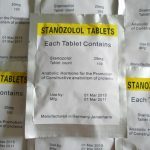 The overwhelming majority of anabolic steroid users tend to engage in cycles of use, rather than prolonged periods of indefinite and constant use, as is commonly believed by the uneducated public. The purpose of using anabolic steroids in cycles is for several reasons, one significant reason of which is a safety factor. Being that these drugs are hormones that mimic the activity of natural hormones found in the body, the result of use commonly causes disruptions in hormonal balance and activity in the body. 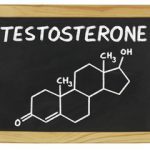 The use of any and all anabolic steroids, for example, will cause a shutdown (or at the very least, suppression) of endogenous natural Testosterone production in the body. Furthermore, the use of aromatizable anabolic steroids (those that convert into Estrogen) can increase Estrogen levels in the body to levels considerably higher than is considered within normal physiological ranges. These compounds tend to impose various undesirable or negative effects elsewhere in the body in varying degrees (for example, negative alterations in cholesterol levels, blood pressure, etc.). The decision to perform cycles is one that first and foremost ensures that these disruptions to hormonal and physiological functions are kept to a minimum for (preferably) short, brief cycles. Following the conclusion of a steroid cycle, the individual’s physiology is granted an opportunity to quickly return to its normal functioning state so as to minimize any negative impacts on the body that might be imposed by anabolic steroid use. 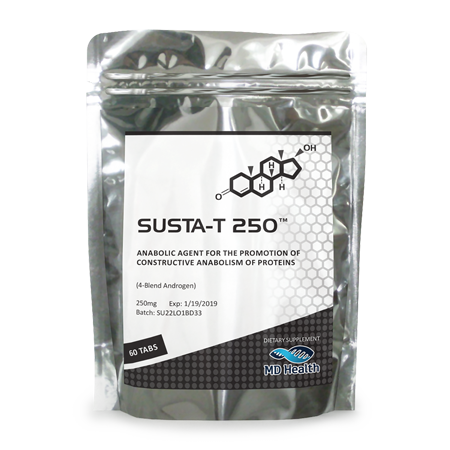 This ensures safer and more controlled use of these hormones whilst reaping all of the benefits of muscle growth, physique, and performance enhancement that are desired by bodybuilders, athletes, and weight lifters. The other reason(s) for the decision to cycle these drugs is for the purpose of maximizing the muscle growth and performance enhancing effects without risking a continual loss of effects. It is a misconception that the body grows tolerant to anabolic steroids, but it is true that over the length of use as use becomes longer in duration, the user will experience diminishing returns in terms of muscle growth and other benefits, while the potential of experiencing side-effects becomes greater. By cycling these compounds, the body is ensured to be more responsive upon the commencement of each cycle, provided the user has allowed enough time off between steroid cycles. 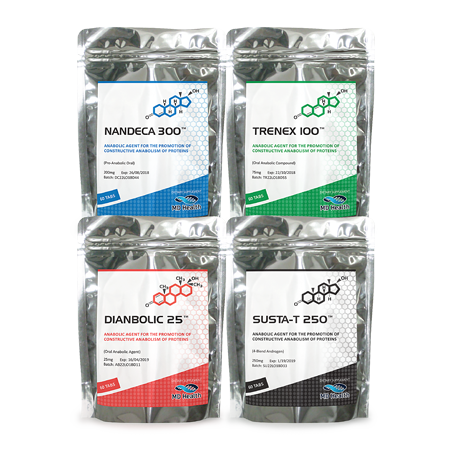 There are a plethora of methods of cycling anabolic steroids, and different hypotheses as to which method is the best are always being discussed and debated by athletes and bodybuilders. For example, there are theories of long cycle lengths, short but high-dosed cycles, oral-only cycles, and very short but frequent cycles. These will all be touched upon and discussed in this article. It is important to understand, however, that the method of cycling that one decides to use is dependent on his or her goals. For example, professional and competitive bodybuilders are likely to engage in very long cycles (or even remain on anabolic steroids indefinitely) due to the nature of the demands of their profession and goals. A recreational anabolic steroid user might not necessarily need (or want to) utilize such a cycling protocol, especially as longer cycles generally result in a larger negative impact on the body. The different camps of cycling all have their reasons and benefits and pros and cons of their positions. The first cycle type we will examine briefly is the standard 10 – 12 week cycle involving long-estered anabolic steroids. Because long-estered compounds such as Testosterone Enanthate or Nandrolone Decanoate (Deca-Durabolin) require long periods of time before peak optimal blood plasma levels are achieved, longer cycles are required in order to fully reap the benefits. These are also cycles that are normally engaged in by first-time users and beginners for at least the first handful of cycles engaged in. These generally involve the administration, for example, of Testosterone Enanthate for 10 – 12 weeks at a typical dosage of 300 – 500mg per week. Two weeks prior the cycle’s conclusion (for example, the 10th week of a 12 week cycle), the last injection is administered to allow for the hormones to slowly clear from the body completely. Following this, a post cycle therapy (PCT) protocol is engaged in for 4 – 6 weeks in order to assist the body in restoring natural function of its subsystems. The second most popular method of steroid cycles involved short cycles using either a combination of oral anabolic steroids and short-estered compounds (or either of them alone). Oral-only cycles are highly advised against in the steroid use community due to inadequacies and limitations of oral compounds. Short cycles are engaged in for periods of typically 6 – 8 weeks, and an example would be Testosterone Propionate used for 8 weeks at a dosage of 100mg every other day. 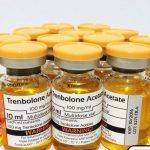 Trenbolone Acetate is another short-estered compound that is also used (often in conjunction with Testosterone Propionate) for the same time period. This provides the user with fast and effective gains and progress, and ensures that the cycle length is short enough that the body will be able to rebound to normal physiological function fairly quickly, as suppression of the HPTA (hypothalamic pituitary testicular axis) is not very long, and therefore unlikely to struggle in recovery during the post-cycle period. Some elect to engage in short but frequent cycles, and others will allow the same amount of time off in between cycles as they would if they engaged in a longer cycle. A common question by beginners is how much time off is required in between cycles before they should engage in the next cycle. A general rule followed by most is that the amount of time on cycle, plus PCT, should be the time spent off-cycle. For example, an individual who engages in an 8 week cycle followed by a 4 week PCT (12 weeks total, or 3 months) should therefore allow 12 weeks (or 3 months) of time-off prior to the next cycle. Others advocate setting a solid flat-rate of time in between cycles despite how short or how long a cycle is or was. For example, 4 months of time-off would be taken in this case even if the individual performed an 8 week cycle or a 12 week cycle. The important point to take home here is that proper time off is essential and required for the body to return to its normal physiological functions. 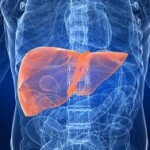 Failing to realize this can and will result in possible long-term health complications as a result.